We joined friends Dolores and Orell for dinner at the Trading Post Cafe tonight. Unbeknownst to any of us the Italian restaurant offers Mangia Festa, 3 course meals between 4- 6pm, Tuesday – Thursday for only $12. Such a deal! The Mangia Festa features a cup of soup of the day, salad and the choice from six pasta entrees or pizza of the day. Pasta offerings include farfallel primavera, pasta bolognese, fettuccine alla carbonara, angel hair pasta with chicken and mushrooms in gorgonzola cream, portabello mushroom raviolis and penne arrabbiata. Tonight’s soup was a chilled cream of avocado which Bob (surprisingly) really liked. Next was a fresh green salad with creamy Italian dressing. Bob and I both ordered the carbonara, on the advice of local friends, and were not disappointed. Dolores and Orell had the angel hair pasta dish. The servings were not large but the three courses were a very nice balance. 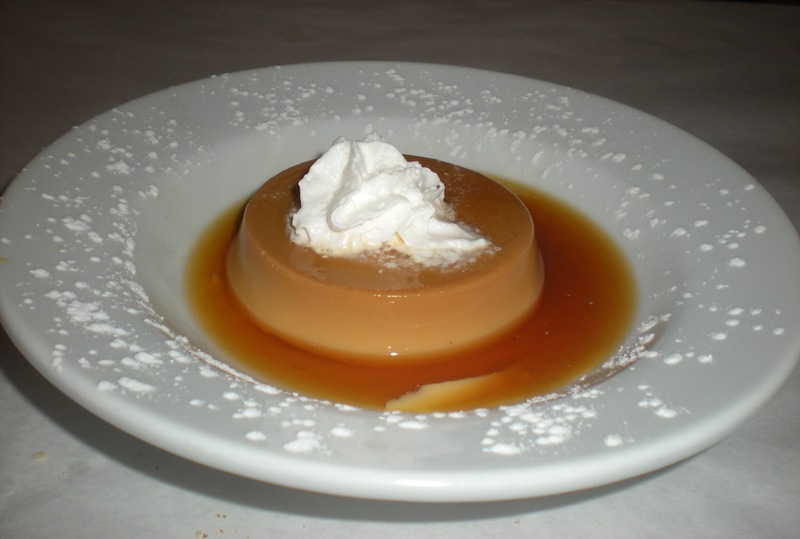 When Bob and I had dinner here on Saturday night we indulged in the marvelous flan. Because I baked a peach and cherry crostada today we bypassed the Trading Post desserts – with regrets. They have an excellent pastry chef and there are many selections each day. If I’d known we were going to the Trading Post Cafe I would have put off my baking until tomorrow. Although that might not have worked because Bob says he’s going back tomorrow night for round two of Mangia Festa! Just read this entire site. Two friends and my husband and I have traveled 3 times now to NM. They come down from Salt Lake City, we come up from Dallas/Ft. Worth area and meet in Albuquerque. We did the Chama to Taos trip this summer. We’ve done the Albuquerque to Santa Fe to Taos trip in the past. You have named some wonderful places to visit on our next trip. I’m tired of just driving! Its time the four of us lingered in one place for a bit. Taos and Santa Fe are magical…and that’s just the sky and landscape. Restaurants, museums,churches, and shopping as you pointed out are also not to be missed. We enjoy the soul satisfying landscape but often miss the shops and museums. We’re going back with a vengence and linger longer in one place. I’m reading here and taking notes! Thank you. Thank you for your comments. 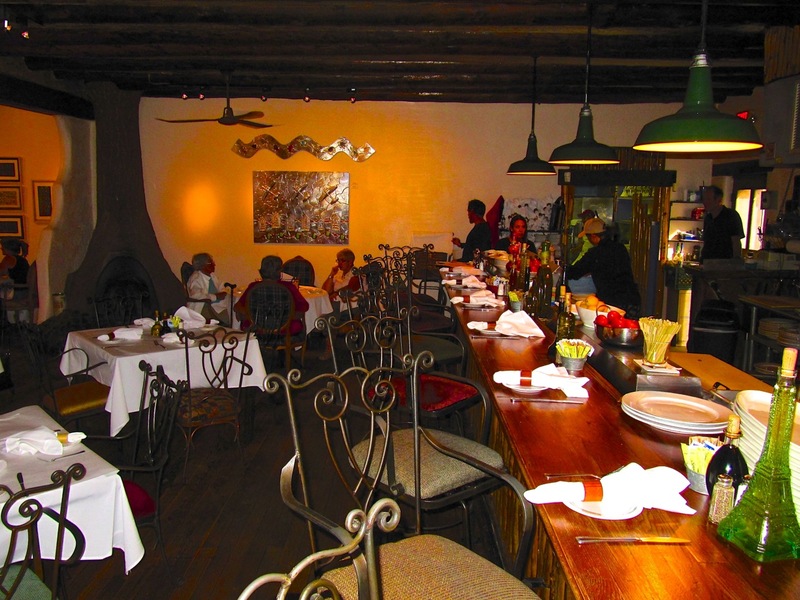 Yes, Taos and Santa Fe are magical. We’re usually in the area three to four times a year and it never is the same or gets boring. There’s always something new to discover while revisiting old favorites. Enjoy your future visits.